We found Jean chatting while checking out the ‘Needle vs Thread’ stall at the Canberra Handmade Markets. 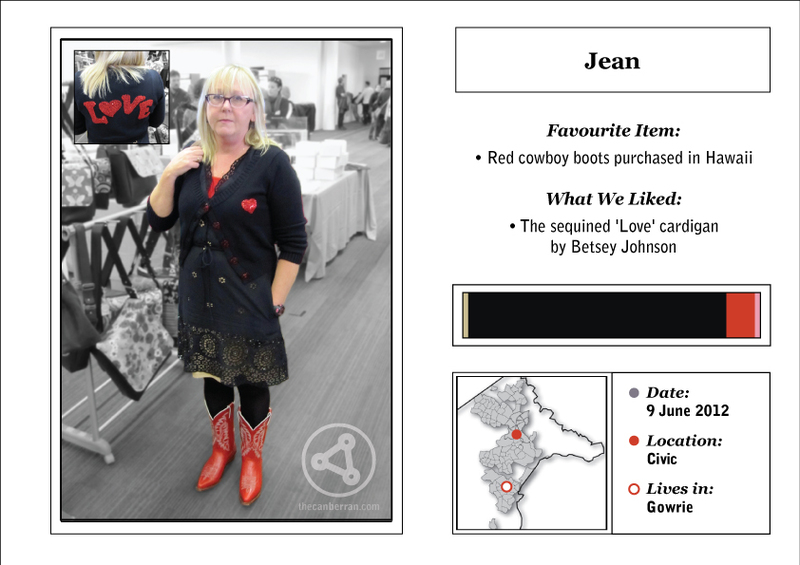 We first noticed her ‘Love’ cardi and then when we saw the cowboy boots, we knew Jean needed inclusion. 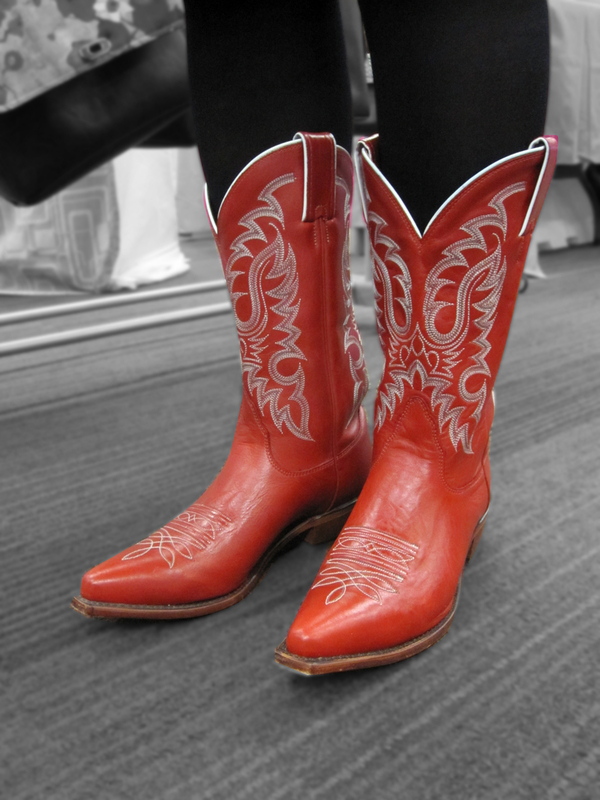 b) Knows how to work them in an outfit deserves to be recognised. Jean tells us that the Betsey Johnson online store is closing down. After Googling we can confirm this (and must now resist the urge to splurge).